Energia welding solution was established with a vision to provide innovative welding solution for welding industries in Saudi. We don’t do average! We deliver, first rate welding solutions. We have a team of class leading Welding Expertise. It’s not just what we do, but how we do it. Energia is proud to be associated with Red-D-Arc Weldrentals, the leader in welding rental corporation in North America. Energia sets the highest bench marks in introducing innovative technology, optimum quality and service. 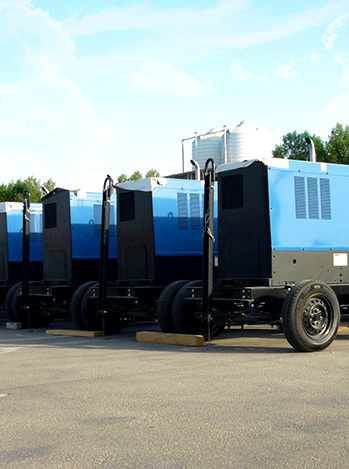 We’re experts in helping you to rent the right equipment for your business. Our range of rental welding equipment includes Diesel welding generators, Arc welders, Multipurpose weld units, wire feeders, MIG welders, spoolguns, TIG welders, weld automation and cladding weld units rental and Sale. Energia is based in Jubail in the eastern province of Saudi, western branch in Jeddah, Central region in Riyadh and Jizan. Large rental fleet hosted in Saudi with access to regional and international inventory. Local delivery, contracting, insurance, calibration and regular maintenance. Quick access to alternative machines in case of breakdowns or change in process. Heat Treatment Specialist advise for best practice. Welding R&D, engineering, procedure development & qualification for any diameter, material grade and wall thickness using automatic, semi-automatic. Energia focus is to increase productivity by making your welding processes faster and easier.